The two masterminds behind the act, Léon Benschop and Kenneth Kroes grew up with a strong friendship and also a shared passion for listening to and producing music. 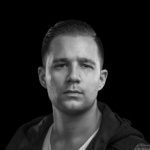 With both boys having a solid background in sound design within other genres of electronic dance music, their sole focus shifted to hardstyle which has seen them embarking on an exciting and memorable journey to the top. After signing to Scantraxx Recordz in 2013, their career kicked off at a lightning bolt pace when their remix with Atmozfears for “Sparks” by Fedde Le Grand and Nicky Romero was dropped. The impact that this modern classic had on the hardstyle scene was incredible and it marked a massive breakthrough for Audiotricz. 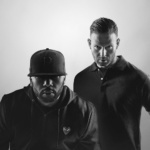 Their productions only continued to flourish and a plethora of astounding new music flowed with some chart topping hits such as “Inception”, “Coming Home” with Brennan Heart, “VIII”, “Alchemy of Hardstyle”, “Turn The Music Up! with Wildstylez, “Infinite,” “Reawakening” with Atmozfears, “Ghettoblaster” with TNT and “Momentum” with John Harris. This duo’s sound can be best described as a combination between melodic storylines, huge atmospheres and the ultimate party vibe. It’s no surprise to find their addictive melodies stuck in your head for days on end! Audiotricz are on their way to the top.